There are a handful of things that you would expect from a true 2019 Android flagship; an in-display fingerprint scanner, a punch-hole camera, and at least three cameras on the back. Unfortunately for LG fans, some renders of the company’s upcoming smartphone, the G8 revealed that the phone will have neither of these. The leaked video showed a device that looked a lot like last year’s G7 ThinQ and naturally, customers who heard the impressive rumors about its futuristic design were most likely disappointed. However, an LG executive has taken to social media to clear up some confusion and his answers mean we should still be excited for the G8. The renders were provided by the trusted leakster Steve H.McFly, who is popularly known as OnLeaks. The leaked renders were questioned by none other than Ken Hong, Head of LG Electronics’ global corporate communications, who explicitly said that the render is not real. However, it is worth noting that OnLeaks has a flawless track record as far as leaks regarding LG are concerned. Per his sources, the device that he earlier claimed to be the G8 does indeed exists and is codenamed ‘Alpha’. Hong didn’t really say that the leaked device does not exist, he simply said that the claim made in the leak was wrong. This means that the leaked device might be marketed by LG under another name. 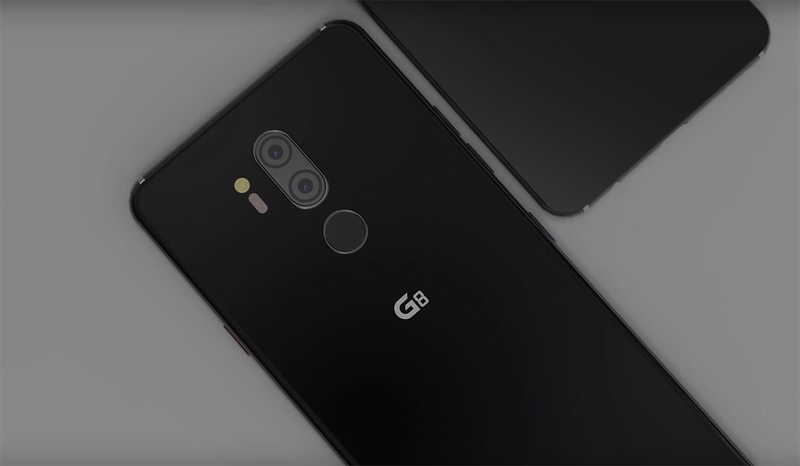 The LG G8 is expected to be launched at the MWC 2019 trade show, which will take place next month. Not a lot is known about the specifications of the phone yet, but it is speculated that it will be fueled by Qualcomm’s Snapdragon 855 SoC. Additionally, the G8 could be the first flagship from the company to feature a 4K display using the Sound on Display technology. Since this might not be the G8, the upcoming flagship might still be compatible with a secondary display and if executed well, the latter might end up becoming a compelling feature for customers.